This mutton snapper was caught by Bullbuster Ambassador Flying Fish Charters In Key West. 1. Tips For Fishing While Fishing Inshore - Rig a 6- foot spinning rod and reel with 15-pound test monofilament when targeting muttons inshore. Make use of the number 4 short stem hook and a little weight, like a split shot or a barrel. Choose a line color that blends into the local water, since the fish is unpredictable and a cautious feeder (fluorocarbon is your best bet here). 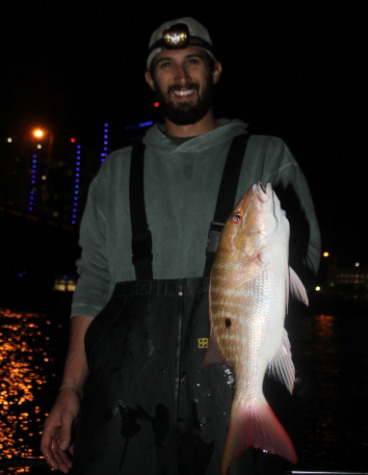 #BullbusterAmbassador Alex Wexler with a nice mutton he caught while fishing with shrimp in the bay at night. 2. 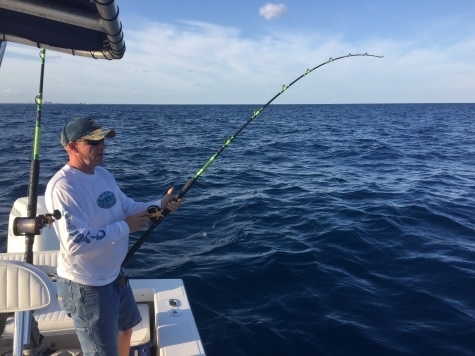 Tips For Fishing While Anchored On A Deep Reef - Using 20Lb monofilament use a light wire circle hook and a live bait such as a pilchard or small pinfish. If you are using dead bait try a plugged ballyhoo or half of a goggle eye. Use the 40-50-pound line leader for larger baits and 20 to 40 pounds line weight to the leader line for smaller and live bait like pilchard. Attach the hook, a 1 to 3-ounce barrel weight to the leader line and attach the leader to the fishing line with a pivot. #BullbusterAmbassador Jamie Connel caught this mutton snapper offshore Key West, Fl. 3. 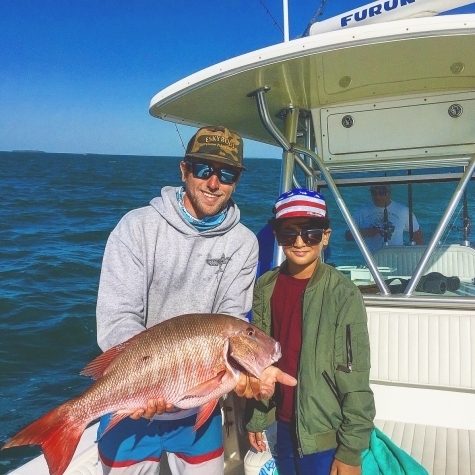 Tips For Catching Muttons On The Drift - You can catch mutton snapper by drift fishing when the current are slow. 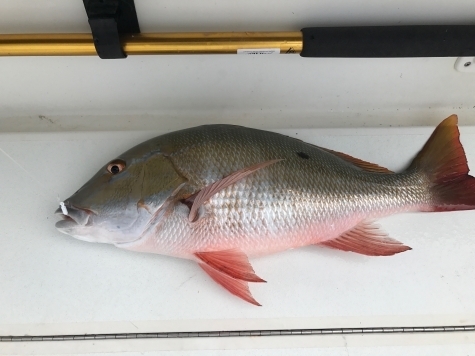 By using a standard rod setup with a 1-oz barrel weight slipped onto the line above the hook, take the drift of snapper lamb when currents are slow. Use a standard rod configuration with a 1-oz. The weight of the cylinder slipped on the line above the hook. This lets the bait to free float throughout the surface of the water, attracting the fish. 4. Don’t Just Leave Your Rod In The Holder - Hold the rod in your hand, holding as stable as possible when not drifting. This keeps the sinker in place at the bottom without moving from one place to another, which gives you a better chance of getting mutton to bite on it. #BullbusterAmbassador Adrenaline Rush Charters hooked up! 6. Chum! - Chum the water prior to fishing for mutton snapper. And when fishing deep, place a handful of sand in the chum bag to weigh and let it sink into the water, pulling it up and down two to three times. This allows the chum enough time to drift into the area and attracts fish. #BullbusterAmbassador Cpt. Austin Porter chummed em up! 6. Use Live Or Freshly Dead Baits! for best results to attract mutton snappers. Pinfish, squid, speedo mackerels, goggle eye, ballyhoo and shrimp all work well to attract snapper. 7. Cloudy Weather Can Be Your Friend - Fish patch reefs wherever snappers gather together. Cold weather and cloudy water conditions generally produce good results, as muttons are not so cautious. Launch your bait on the outer perimeter of the reef where the fish is swimming. 8. Sometimes You Need To Pull Out The Heavy Gear - If you are fishing in areas with strong currents, like many deep reef sites in the Atlantic Ocean, you will need to use heavy tackles. Not because the fish are much larger but because you are going to need some serious weight for the bait to stay in the right place. Otherwise, your bait may float away from where you think it is and will result in fewer bites throughout the day. 9. Fluorocarbon Is Your Best Bet! Constantly use a fluorocarbon leader -mutton snappers have an excellent view. They also have teeth! Because of this great vision, however, the wire leader are completely out of the question, as no snapper will bite a bait with a visible piece of metal sticking out of it. Fortunately, the fluorocarbon line is extremely resistant to abrasion and teeth cuts when thick enough and is almost completely invisible in the water. So, if you use monofilament or a braided line, a fluorocarbon leader will always result in more fish. 10. Get In On The Summer Spawn! Summer is the best for two reasons. On the other hand, fish are hungry because they are at the peak of the spawning season in June and July. Secondly, the seas are calmer during this time of year, which always makes for great offshore fishing. 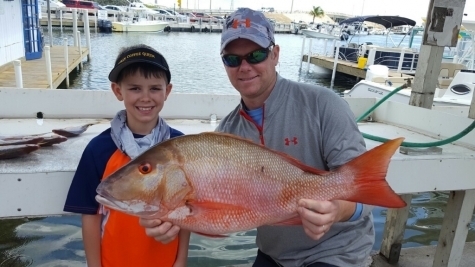 These are great tips and it shows that mutton snappers are really not so hard to catch like some may think, but sometimes these things do not cross our mind until after the return back to shore. Each time you are out there on snapper grounds, you will always want to be as knowledgeable and prepared as possible, this great tips will make it a bit easier. Hopefully, these 10 tips and tricks will help you have great muttons snappers catch!